First years and parents forced to bake in the sun in long lines as a result of new centralised residence registration system. 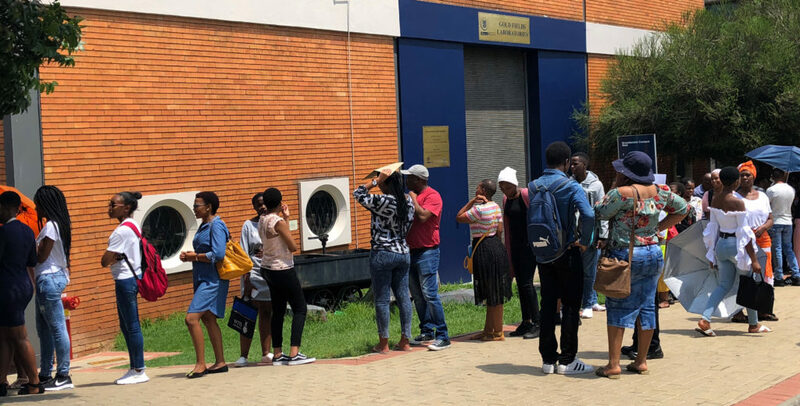 WITS’s new centralised residence registration system that was supposed to be “more convenient” has had the opposite effect as first-year residence students and their parents were left distraught after queuing for hours in the sun on Saturday, January 26. The system, implemented on the day, placed services from the Fees, Financial Aid and Information and Communications Technology offices under one roof, at Flower Hall, West Campus. The centralised system was also meant to ensure the verification process and the residence registration took place in the same building. All packed and nowhere to go: The line for registration extended from the Flower Hall towards the Wits Science stadium. A parent, Sithabile Ntombela from Durban, who had waited in line from 12pm until after 4pm told Wits Vuvuzela that she had expected to wait a maximum of an hour. “If this was [University of] Zululand, Fort Hare or Walter Sisulu University, I would expect this, but not Wits. The other universities are previously disadvantaged. Wits has developed technology, so I wouldn’t expect this from Wits. There was no visibility from the assistants. There are assistants but very few, so you end up in the wrong queue,” Ntombela said. Zuma said that 28 staff members from Campus Housing and 18 from other service units, as well as 35 assistants were helping with the registration, and Wits Protection Services was also present. However, there were few visible assistants outside Flower Hall in the morning, and in the afternoon there appeared to be no more than 10 that were ushering parents and students into the different lines. Medhurst Residence House Committee member, Nobuhle Nkosi, told Wits Vuvuzela that the All Residence Council and Residence House Committees were not consulted in the decision-making process, and that both committees opposed the new centralised system at the Residence Leadership Camp held on January 21-25 where they first heard of it. Nkosi added that the Medhurst House Committee was expecting to welcome 80 – 90 students on Saturday but only 20 had arrived by 3pm. “People were hungry when they got here, people were crying and parents were complaining,” Nkosi said. Hot and bothered: Students and parents bake in the sun as they queue to register. Zuma said that the registration process didn’t close at 4pm as advertised, but had been extended to 6:45pm. 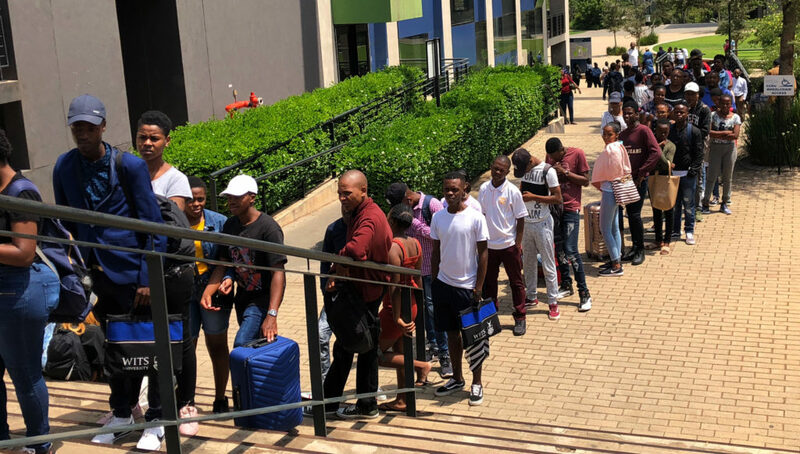 “Our challenge on the day was the number of students who did not apply for residence and those whose application was still pending and thus contributing to long queues,” Zuma said. At 9.41pm on Saturday, the university tweeted an apology from its official account. “Wits University and the Dean of Student Affairs apologises to all parents and students for the inconvenience caused by the new res system for first year students. We acknowledge the delays and the long queues and we will review the process going forward,” the tweet said. According to Zuma, the university is doing a full review of the registration process and will consider suggestions from the Wits community.